Relevant Communications / Posts tagged "Paul Stanley"
It won’t be all night, but former members of Kiss might get the chance to rock ‘n’ roll with the band one last time. You probably know his “Starchild” character, with white face makeup and a black star over his right eye, and the Spandex, leather and chains he wears onstage with platform shoes. 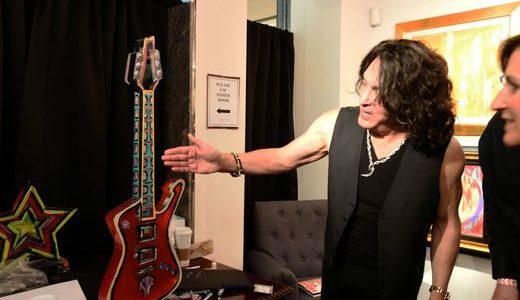 But when he’s not smashing guitars and telling you to “lose your mind in Detroit Rock City,” KISS frontman Paul Stanley is a prolific artist. Lyora Pissarro, Elizabeth Galbut-Perelman & Paul Stanley have been featured in the media recently.